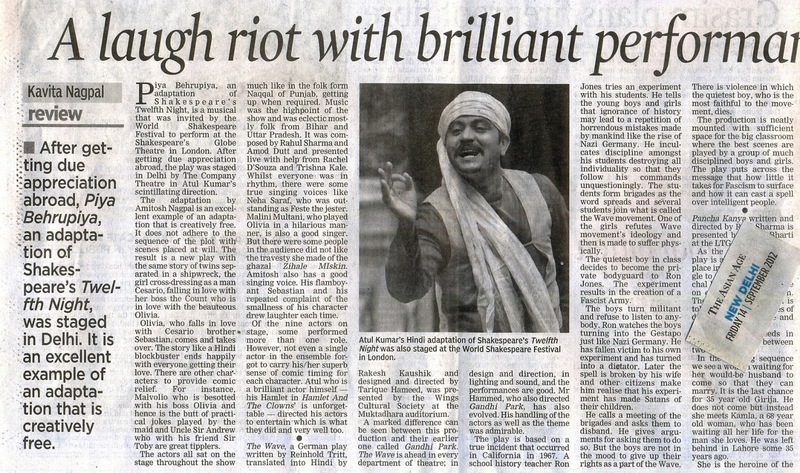 Rashtriya Sahara Urdu reviewed our Play Jaisi Karni Waisi Bharni on 13th June 2010. 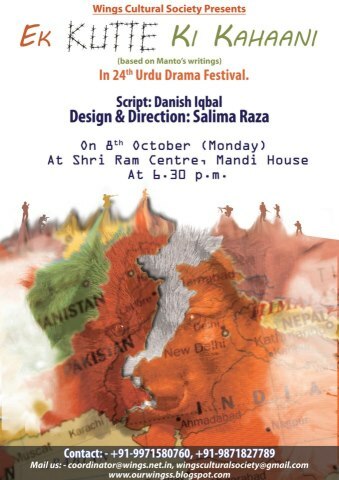 Wings Cultural Society has been conceived with the idea of raising consciousness about social issues through meaningful theatre and cultural activities. It aims to spread awareness in society through exchange of ideas, and through raising debates relevant to our times. We endeavour to perform socially relevant theatre and conduct workshops, seminars, debates and audio-visual shows as part of our effort to be involved in the ongoing social and intellectual churning. 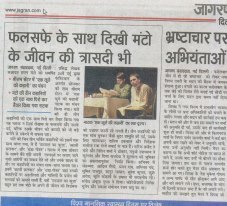 The group participated in the 15th Bharat Rang Mahotsav, 30th Bhartendu Natya Utsav, 4th IPTA Natya Rangotsav, Jaipur, 1st and 2nd Rang Bayaar (JNU Theatre Festival), Jashn-e-Zabaan (A Celebration of Language and Expressions), Jaya Utsav (Celebrating Living Traditions of Mahabharata) and in the 21st, 23rd and 24th Urdu Drama Festival. It has also been invited to perform at Lahore, Jamia Millia Islamia, India International Centre and India Habitat Centre. We debuted as a cultural group with our performance of Jaisi Karni Waisi Bharni at the 21st Urdu Drama Festival on 17th February 2010, at Shri Ram Centre. Chand Roz Aur Meri Jaan, Ek Kutte ki Kahaani (directed by Salima Raza), The Wave, Gandhi Park (directed by Tarique Hameed), Waseem (directed by Sharmistha Saha), Ant Nahi, Bheemaparvam (directed by Samkutty Pattomkary), White Nights/Rajat Ratein (directed by Soumyabrata Choudhury) and Jaisi Karni Waisi Bharni (directed by Firoz Z Khan) are the successful productions of the group. Apart from theatre performances, we have also conducted ‘Baisakhi’, a cultural evening of dance and music like Odissi, Bharatanatyam, Kuchipudi, Manipuri, Kathak, Hindustani Vocal and Rabindra Sangeet, an exhibition of paintings, ‘Discussion and Exhibition of Patachitra’ (a folk painting from West Bengal), ‘Theyyam’ (a folk performance from Kerala), ‘The Lovesong of J. Alfred Prufrock’ (a dramatic presentation of T.S. 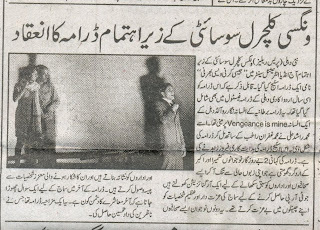 Eliot’s poem), and a lecture and discussion on Matriarchy by Prof. Hoshang Merchant from HCU. In the year 1967 when the Hippie movement was at its peak, many youngsters were attracted towards it for its openness and its rebellious approach. But hardly any youngster looked into its philosophy. They ignored its history. They only had ‘flower power’ and ‘rock’ to inspire them. 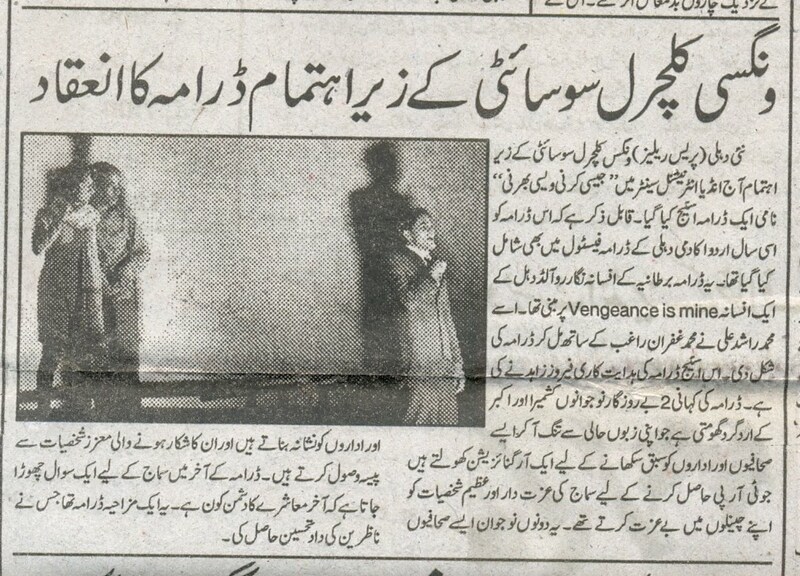 No one bothered about its origin, development or its consequences. Ron Jones, a history teacher realized this as a crisis situation and tried to make his students understand the consequences pertaining to such ignorance and arrogance. He attempts at attracting their attention towards historical events, but his students seem to be least interested. 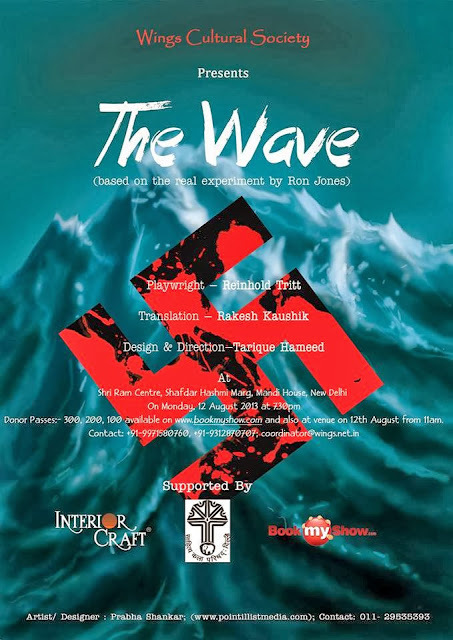 He then decides to conduct an experiment which later became famous as the ‘Wave’ movement. Jones’ idea was to expose his students to how ignorance can plunge human society into complete chaos. His experiment proves to be highly effective and gradually overwhelms the entire city. He then realizes that he himself has turned into a fascist leader. He calls his students to shatter the spell. He makes them understand that it was their ignorance which inspired him to conduct that experiment and lead them to that extreme stage. Later, this interesting experiment inspired a German playwright and a theatre therapist, Reinhold Tritt. He adapted Ron Jones’ entire experiment into a play in German titled “Die Welle”, meaning ‘The Wave’. 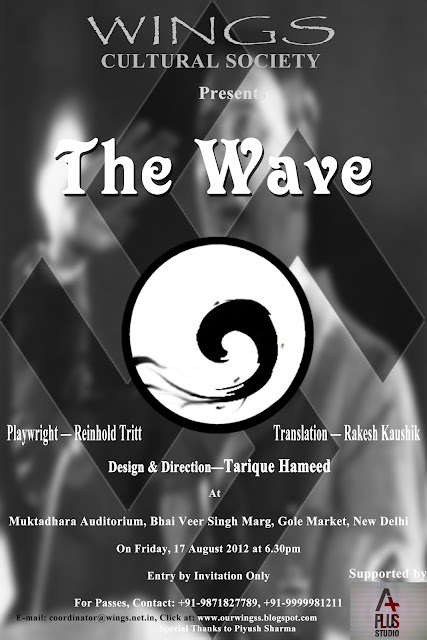 This play is a Hindi translation of Reinhold Tritt’s “Die Welle” by Rakesh Kaushik.